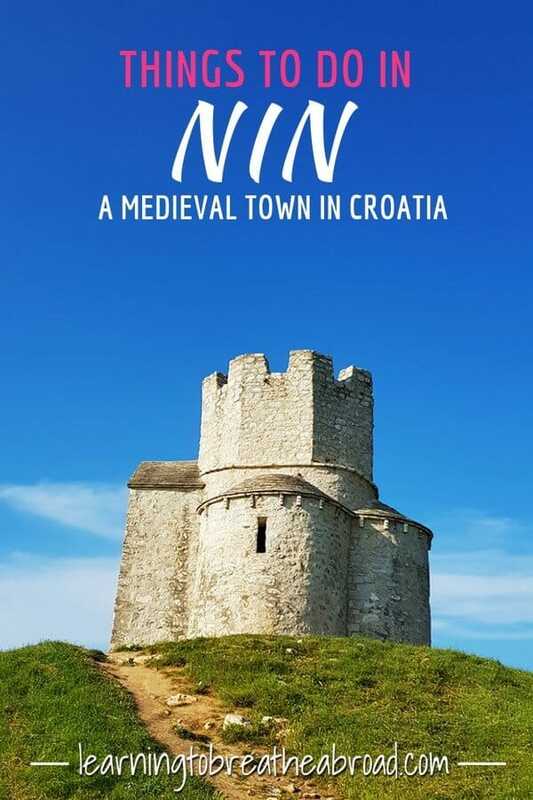 Nin is Croatia’s oldest royal city and is considered to be the cradle of the Croatian state, often referred to as Croatia’s Bethlehem. 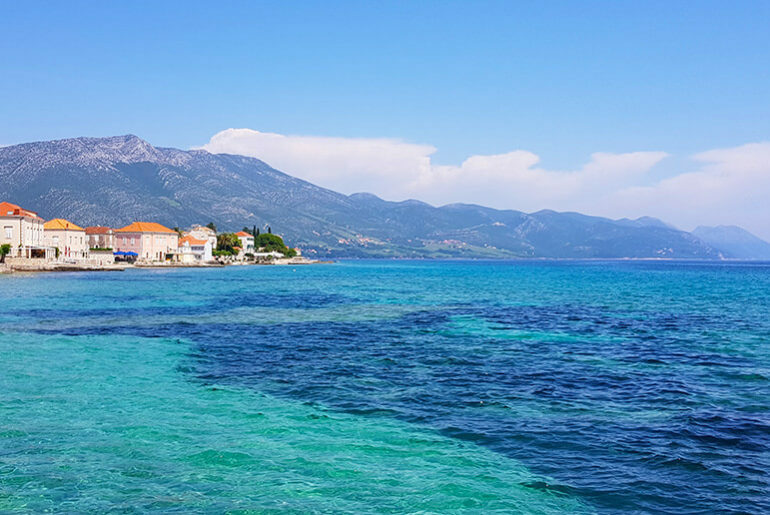 It is the site of the smallest cathedral in the world, what some call the most beautiful beach in Croatia and the best place for a medicinal mud bath. This teeny little seaside town is steeped in history and though small, there is quite a lot of things to do in Nin. Situated just 15km north of Zadar makes it an easy drive or bus ride for a great day trip. I found Nin to be a delightful medieval town and well worth a visit. 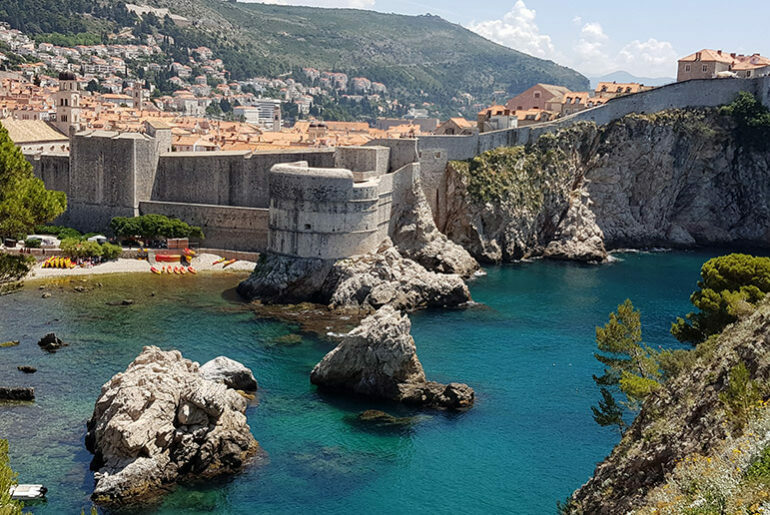 The old city is on an island in the middle of a shallow lagoon and accessed by two little stone bridges. 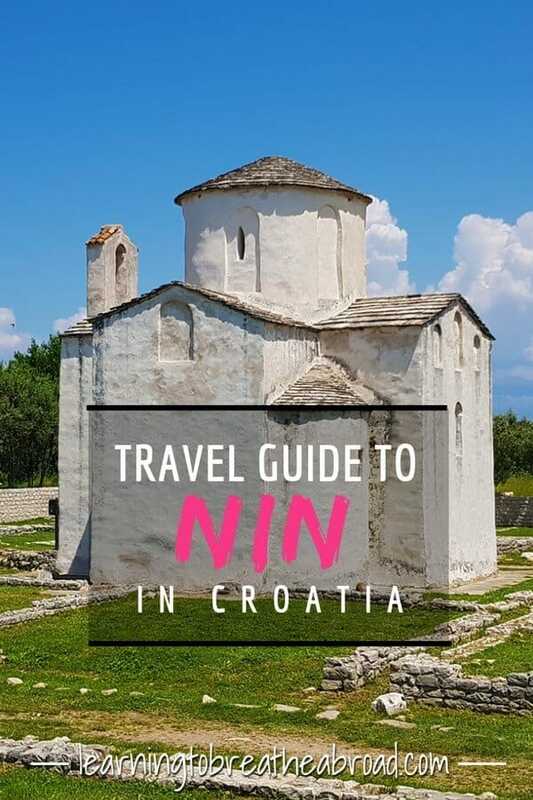 The Church of the Holy Cross called “the smallest cathedral in the world” is the most valuable preserved monument of early Croatian religious architecture and dates back to the 9th Century. The angle of the windows and the suns rays create a calendar for determining the exact dates of the equinox and solstice. Standing proudly in the centre of Nin is the tall bronze statue of Bishop Gregor of Nin. He was an important person in Croation history as he strongly opposed the Pope and advocated using the local language during mass instead of Latin. What you won’t miss is how shiny his left big toe is. This is due to the belief that kiss the toe will make your wish come true. I’ll take any chance at creating some good fortune, although Tai refused once he thought about how many other lips had touched the toe! The remains of the biggest Roman Temple on the east coast of the Adriatic sea can be found in the heart of Nin old town. The temple dates from the late 1st century AD and the reign of the Roman Emperor Vespasian (69-79 AD). Sandy beaches are few and far between in Croatia and Nin has six of them! 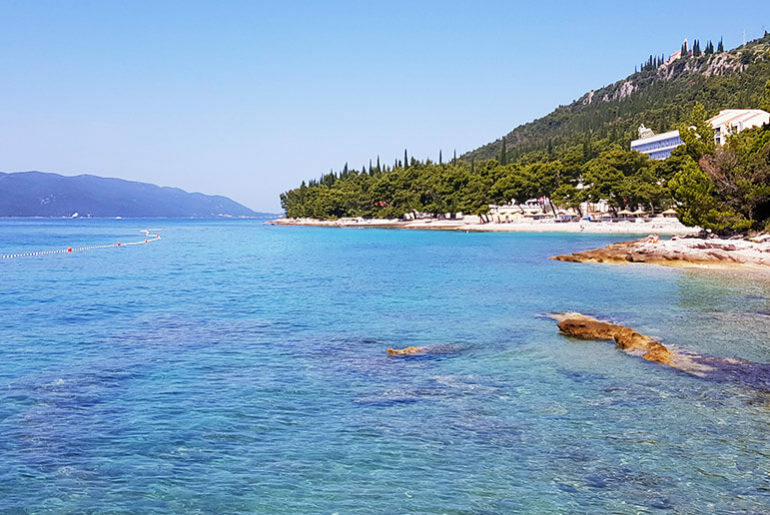 The most beautiful is the 3km stretch of Kraljicina plaza, otherwise known as Queen’s Beach. Some will even go as far as calling this the most beautiful beach in Croatia. This is a real family beach, with the water remaining shallow for quite a way out. 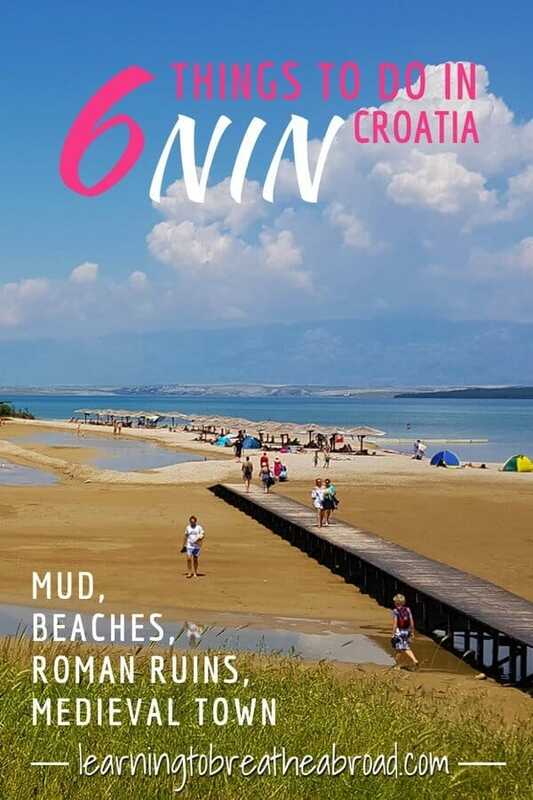 One of the best things to do in Nin is mud! Just behind the lovely sandy Queens Beach, lies the medicinal mud of Nin. Peloid mud consists of hummus and minerals formed after the disintegration of different plants through years of a natural process in the salty sea of a shallow lagoon. It is used for the alleviation of all sorts of skin ailments and it’s great for fun photos! We were told to leave it on for at least 30minutes but ended up chatting to fellow mud wearers, so it was more like an hour before we cleaned ourselves off in the sea. My skin did feel deliciously smooth afterward, so highly recommended! Perched on a little hill in a field just outside of Nin, sits the small church of Saint Nicholas. This church has an incredibly important history as seven Kings were presented to the people here. After being crowned in Nin, the newly anointed King would ride to the church of Saint Nicholas, where they would be presented as the new ruler of the land. We stayed at Zaton Resort and this campsite was even more outrageous than the last. This one had 2000 campervan sites, plus permanent mobile homes, apartments, and assortments of bungalows. 8 restaurants, 3km of beach, inflatable wipe out course, 3 types of putt-putt, volleyball, archery, go-karting, a vast series of swimming pools, an amphitheater, a disco and more. And it was packed with people and it isn’t even high season!! The mind boggles! The wifi was absolutely awful! What are YOUR best things to do in Nin? I’d love to hear your comments!